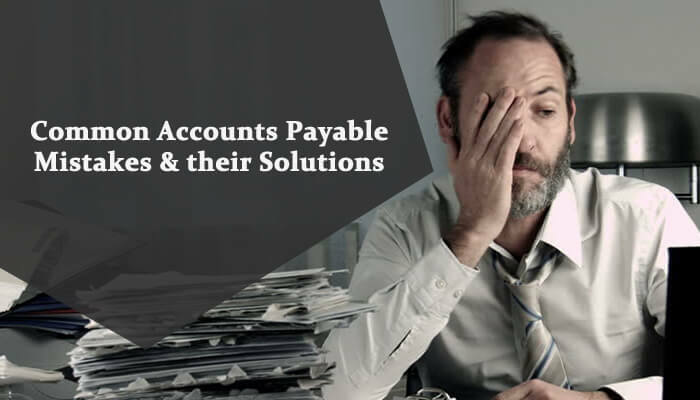 How to Avoid Common Accounts Payable Mistakes? In the most basic terminology, an invoice is simply an “IOU” with respect to B2B payments. You obtain an invoice from a dealer, after which you pay it. What may possibly go awry? Nonetheless, it’s just not that straightforward. So what are the typical Accounts Payable (AP) pitfalls to stay away from? Listed below are our some of them. Whenever you obtain an invoice, how can you tell whether or not it has previously been paid? Your vendor may have unintentionally invoiced you more than one time. In case, you don’t have a reconciliation report or perhaps a procedure of examining to check if it had been previously paid, then you may possibly pay the invoice two times. Won’t the vendor sooner or later give back the additional payment? Possibly. But a majority of vendors post unidentified payment to a suspense account to be investigated when anyone has free time—which usually never occurs. In the long run, the money gets written off and is considered as miscellaneous earnings. Investing in products or services more than once takes place so often there exist companies engaged by Accounts Payable (AP) divisions to do nothing, however, look for duplicate payments on a contingency time frame. It is best to outsource accounting services to take care of such issues. Have you been paying the bills for the products your company never bought? As per the Better Business Bureau (BBB), fraudsters are in existence who ship substandard equipment and office supplies—that were by no means ordered—at increased costs. Generally, these kinds of fraudsters have carried out their homework in advance, determining which kind of office equipment your company makes use of and even delivering the order to a real employee who usually orders the supplies. If in case, you pay one such counterfeit bill, you can be sure you’ll be getting a lot more at some point of time. After validating that the invoice hasn’t previously been paid and that it’s for legitimate products purchased by your company, how will you make sure the amount to be paid is right? This is when it’s important to have a good association with your organization’s Purchasing division, which includes consistent communication. The Purchasing department might have arranged for a discount on the services or products being invoiced and, until you verify the invoice amount with them, you’ll not have any means of figuring out if the amount to be paid is right. There are other issues if you use checks to pay off your invoices. What should you do in case you send a check to your vendor; however the check is not cashed? Needless to say, check payments have a lot of other problems also, such as the chance of check fraud, manual procedures and the expense of postage along with additional supplies (paper, envelopes, ink, and so on). What would you include in the list? Let us know in the comments section below. In order to steer clear of these common A/P issues, it is best to outsource accounts payable to a reliable company. Let the experts handle it all for you. Call us at +1 646-688-2821 to know more. Next Next post: What do CEOs Expect When Outsourcing Bookkeeping Services?